5.1. What is climate change? Roads can have both positive and negative influences on people and the environment. On the positive side roads provide the opportunity of mobility and transport for people and goods. On the negative side roads occupy land resources and form barriers to animals. They can also cause adverse impacts on natural water resources and discharge areas. 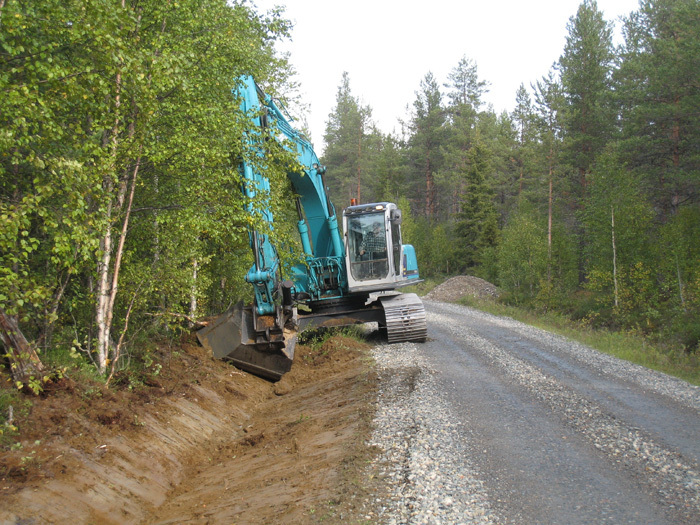 The three most damaging effects of road construction and management are noise, dust and vibrations. 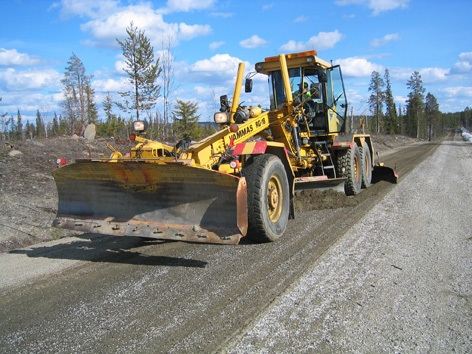 Noise mainly occurs during road construction phases but it can also occur to a lesser degree during maintenance operations. Dust is created during the construction of gravel roads and unbound aggregate layers.. Excess dust production can be treated by means such as watering, the use of alternative materials, and by using dust binders near houses. Vibration can be caused by uneven road surfaces and can pose significant impacts and problems to houses close to the source. 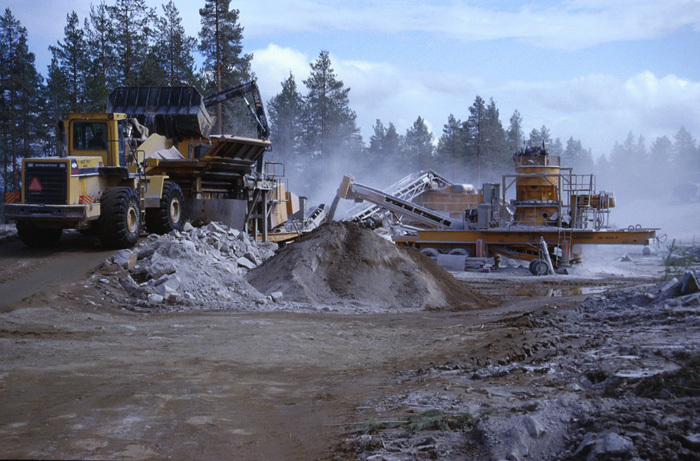 This lesson will focus on the environmental effects of noise, dust, vibrations, and other environmental concerns, and offer suggestions on how they can be mitigated. Noise is defined as a sound that is undesirable to the listener. The level of the disturbance caused by sound will depend on its extent and intensity, and on the sensitivity of the persons affected. 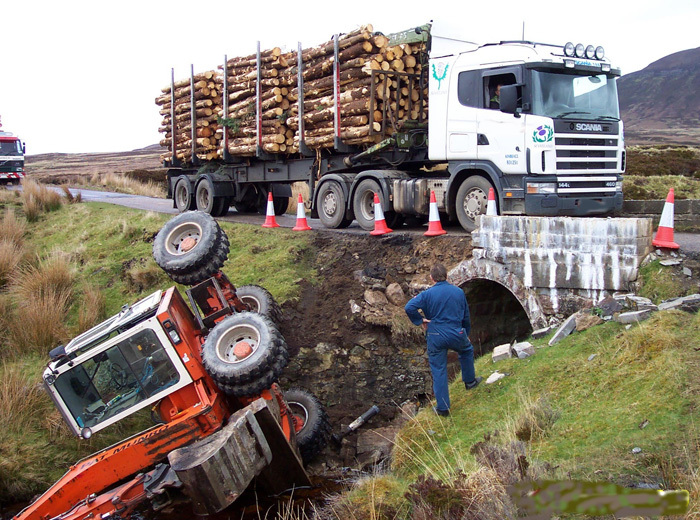 Noise is not normally a major problem for roads in the Northern Periphery as the region is generally relatively sparsely populated and the road networks on the whole run through uninhabited or lightly populated areas. Most roadworks in the Northern Periphery are usually carried out outside the built-up areas, with the result that the effect of noise on the local surroundings is not generally a special consideration. Standard working measures within the site must of course be observed. The condition of roads also have an effect on noise level. For example if a road is in poor condition and cars are traveling fast, this can cause more noise than if the road is in better condition. Greater consideration must therefore be given if roadworks are likely to create noise. Noise disturbances may cause irritation as well as agitation and stress to livestock. A simple but fairly effective measure to manage the effects of noise is to notify the persons likely to be affected that work is about to start. This can be done by delivering information leaflets through letterboxes and/or by posting notices on notice boards. For major work, it may be sensible to convene an information meeting. If people are notified, their acceptance of the disturbance is usually higher. It is wise to work within normal working hours as much as possible. If this is impossible, the persons affected should be given special notification. There are only limited ways of reducing the noise level. 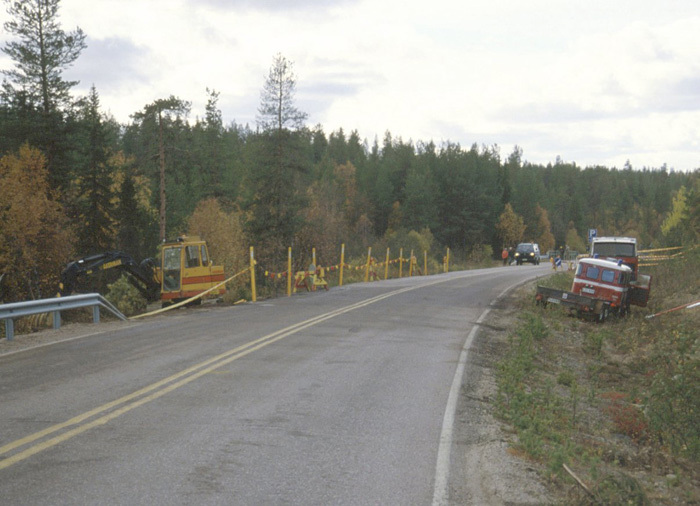 Noise can obviously be reduced by noise fences or similar structures, but these are often impracticable on roadwork sites, particularly for minor works of short duration. A general piece of advice that applies to noise is to use modern equipment wherever possible. Such equipment normally has better noise and vibration attenuation than older machines. Modern machinery also offers other benefits, such as reduced emissions, etc. Vibrations disturb people close to roads but they may also cause damage to buildings and sensitive equipment. Vibrations, and also noise, can affect local fauna. Moreover, vibrations can cause damage to geological and archaeological objects. If vibrations are likely to be caused by roadworks, greater consideration should be given as to when the work should be done. As with the noise problems a simple and effective measure is to notify the persons about the planned roadworks so that they can be informed of their reason and duration. Unnecessary high vibration sources, such as compaction with heavy vibration rollers or bedrock blasting, should be avoided or minimized in built-up areas. Heavy vibrations can cause damage to buildings and installations, which can give rise to damage claims. Methods and equipment that minimize vibrations should therefore be employed. This this is often difficult in practice however, since roadworks demand specialized mechanical equipment such as diggers, heavy trucks, etc. Closer hole spacings and lighter charges should be used where possible in blasting operations to reduce induced vibration in the surroundings. A general piece of advice that applies to vibrations (and this rule applies to noise also) is to use modern equipment wherever possible. Such equipment normally has better noise and vibration attenuation than older machines. Modern machinery also offers other benefits, such as reduced emissions, etc. As already mentioned, road condition can also affect vibration. 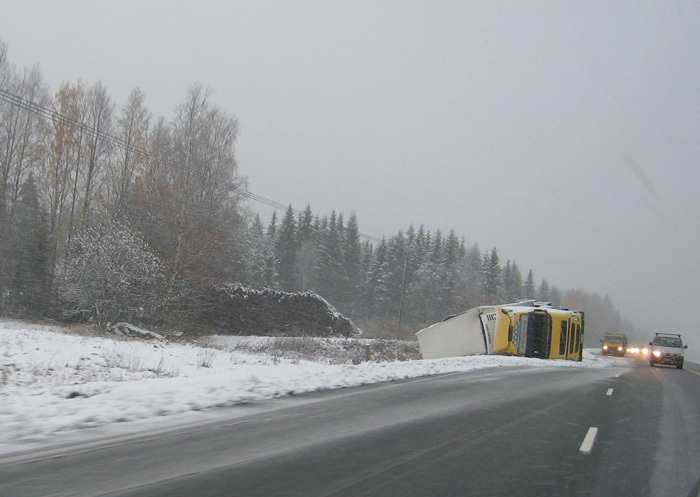 For example heavy trucks passing over a road section with a large quantity of frost heave damages will create large vibrations. 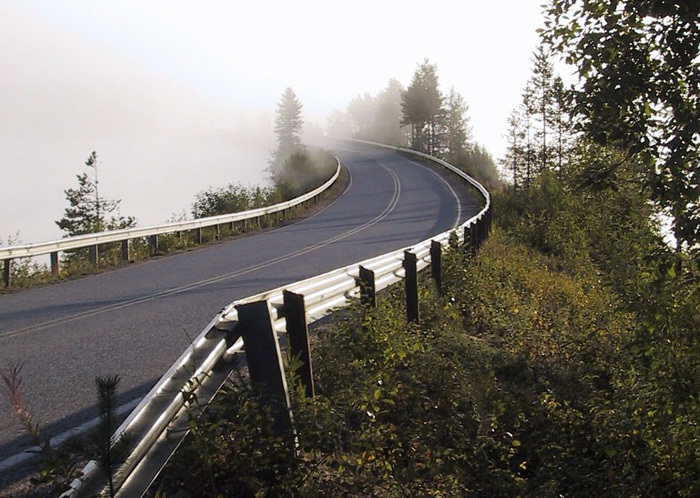 Keeping the road in a good and even condition will minimize the amount of vibration. Dust is an almost inevitable consequence of roadwork. Gravel and crushed gravel and hard rock aggregates always contain a proportion of fines, and if the material is dry, a fairly heavy dust cloud can be raised when it is mobilized. The resulting dust can disturb both the population and the local environment. Dust is not generally a major problem in the Northern Periphery. As mentioned earlier, the Northern Periphery is a fairly sparsely populated region and dust from “clean” materials seldom represents a serious problem, even though it should not be ignored. Dust from local geological material should not be inherently environmentally harmful to the local landscape whether it is deposited either naturally or by the next rain shower. However, it should be kept in mind that if the dust is spread to watercourses and lakes, it may cause cloudiness in the water. Great care should therefore be taken in such cases. Dust incidences can be treated by either watering, alternative material choices or using dust binders near houses. If dust binders are used they should be used with care especially when they could affect the local groundwater (See more in chapter 4.7). Waste is defined as “any substance or object which the holder discards, intends to discard, or is required to discard”. Note that this may include unexpected materials, such as excavated soil that cannot be re-used. •	Dangerous waste, oil from machines, etc. •	Inactive waste, i.e. material that will not be modified by any physical, chemical or biological reaction in a normal landfill site. •	Active waste, i.e. the opposite of an inactive waste. This may be, for example, oil residues and batteries. A special case is waste that is dangerous to life, e.g. explosive or flammable waste. It always pays to reduce waste. Most countries, including the ROADEX partner countries, make a special charge or tax on waste that goes to landfill. In addition to these “landfill charges”, costs can also be involved in transporting the materials to and from the work site. Reduced transport leads to a reduced need for vehicles and personnel. Although reduced quantities of materials going to landfill reduce the revenues for the State, the result, from the viewpoint of national economies, will still be a net gain. Good handling of materials can enable most residual materials to be put to use in one way or another. If the quality of material is too poor to use in the road structure, it can usually be employed as landscaping material, e.g. to level out steep slopes. Some waste will of course always occur, e.g. packaging material, oil residues and the like, but these should be minimized. All countries participating in the ROADEX project have requirements on how waste should be dealt with. It is particularly important that environmentally harmful waste should be transported to landfill or incineration plants intended for this purpose. Information on where such plants are located can be obtained from the local or regional supervisory authority. Another problem that may arise but is not common in the Northern Periphery is polluted soil, where it may be necessary to remove and dispose of such materials. Dangerous, also known as hazardous, waste poses a great risk to the environment and also to human health. Hazardous wastes are controlled by strict regulations (by European Union and local authorities). These regulations mean additional record keeping, monitoring and control obligations are required for these products. Examples of dangerous wastes in roads operations are fuel, accumulators and accumulator acids, brake fluids, transmission oils, shock dampers, different acids, etc. The main sources of these dangerous goods are vehicles (both road users and maintenance). During road construction and maintenance all vehicles on the site need to be serviced appropriately to ensure that there are no leaks. •	Poor waste management at the start of the project. This can give rise to high costs at a later stage. Such costs can be avoided if the waste is managed correctly right from the start. •	Costs of storage, transport and disposal of waste. •	Time (costs) for handling the waste. •	Increases in costs due to usable material being scrapped. These costs, when taken together, clearly demonstrates that it is beneficial to have a thoroughly thought-out strategy for waste management. Road materials and road furniture can also be source of pollutants. The environmental impacts and amount of pollutants created depend on the type of materials involved. In addition the type, condition and wear resistance of the surface layer, the influence of water and traffic and a range of other factors all have influences. Recycled materials and industrial by-products can bring new environmental contamination risks. Examples of these typical recycled materials in roadworks include crushed asphalt, concrete and brick; rock or soil associated with mining activities; by-products from metallurgical processes (such as slag); pulverized and bottom fuel ash – particularly “fly ash” from goal burning electricity generation; and other industrial by-products such as bottom ash from municipal solid waste incineration. Recycled materials may contain a number of pollutants for example heavy metals, oil and organic micro-contaminants, and others. The use of these materials has to be considered very carefully therefore, and all have to be appropriately tested to assure that they are suitable as road materials. In the ROADEX area Sweden has published guidelines for the use of alternative materials. These define, for example, the quality, specification, chemical and technical requirements for the materials as well as instructions for their testing The guidelines also give advice on how to perform an environmental assessment, where the waste material can be used and where it cannot. 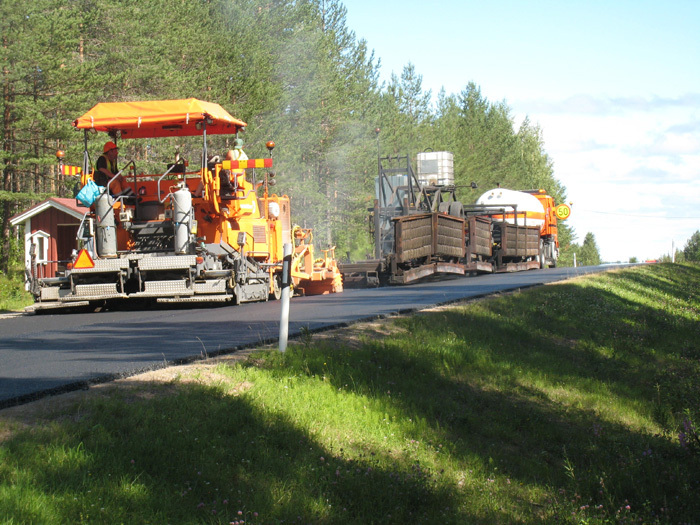 Modern bitumens used in asphalt pavements are designed to release very low levels of pollutants. A modern hazard that does arise from pavements is the wear of the pavement surface within studded tyres where they are allowed. This should not be an issue however on lightly trafficked low volume roads. Old pavements containing coal tar on the other hand will generally need special care due to the particular chemical constituents of coal tar. Not all national waste legislations and environment assessments classify coal tar as a hazardous waste. If the particular legislation classifies coal tar as a hazardous waste recycling of the material will be more difficult. Some authorities prefer coal tar to be recycled rather than removal and treatment. 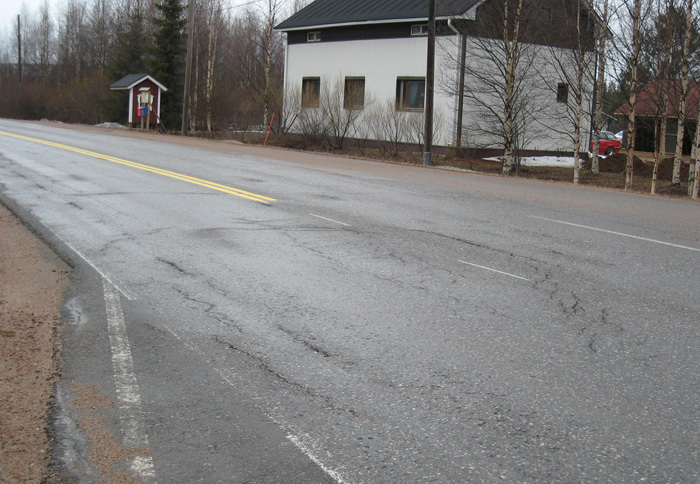 For example in Sweden, the Swedish Transport Administration has published special guidelines for dealing with coal tar. These offer several alternative options depending on the concentration of the compound 16-PAH. The practice that has been shown to be best is to leave the asphalt containing the tar in the road structure and not to touch it at all. If it does need to be excavated out, then the guidelines give advice on how it should be handled. Each case will need to be dealt with carefully in accordance with the environmental best-practice of the country involved. In Norway for example asphalt very seldom contains coal tar. This is because the road network in Norway is younger than, say, Sweden or Scotland. Roads in Norway have mainly been built after the Second World War when coal tar was not in general use. The properties of natural aggregates are a consequence of their mineralogy and heavy metal content. A common problem with aggregates in low-volume roads is dust. 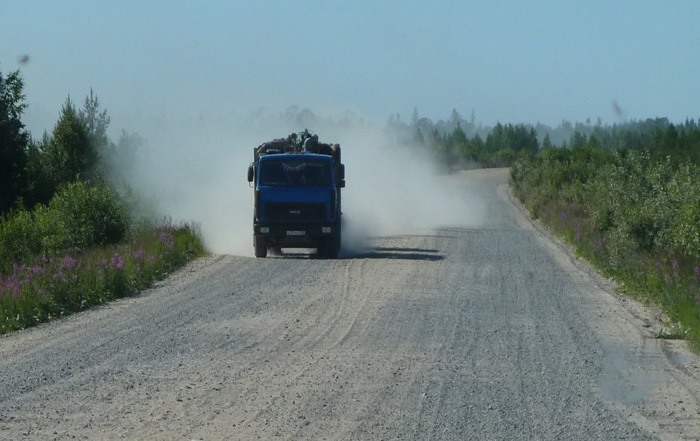 Dust is generated from the unbound surface layers of gravel roads. Examples of road furniture are road signs, crash barriers, sign-posts and lamp-posts. Usually these are made of galvanized steel but they are still subject to corrosion. Zinc can be released into the environment through the use of de-icing salts and in addition the older types of paints may contain heavy metals. However, compared to heavily trafficked roads, the environmental impacts of road furniture on rural road networks are relatively minor. Every road produces some impact on the environment. The construction phase is potentially the most damaging phase in this respect and measures should be taken as necessary to mitigate any impacts caused. Before this can happen the sources and movement routes of pollutants should be identified. The rule of thumb in mitigation is “source – pathway – target”. These define the three major parameters in mitigation. 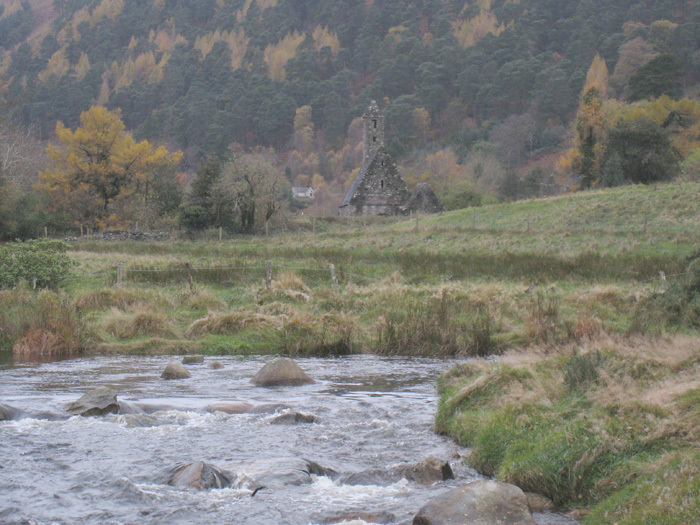 Mitigation methods can be carried out both ex-situ and in-situ. The options for dealing with the source of pollution are: prevention, avoidance and reduction. Prevention aims to stop the emissions of pollutants into the environment. A practical example of prevention is to forbid the use of de-icing agents in groundwater areas. Avoidance are the special design procedures, such as re-routing the road alignment to avoid crossing an environmentally sensitive area. Reduction is the last resort and should only be considered when the emissions cannot be stopped or avoided. An example of this is the reduction in the number of dangerous goods transports passing through a sensitive area. The mitigation options for pollution pathways are interception (the in-situ method) or reorientation (ex-situ). Interception means that the movement of the pollutant is contained for example by a detention pond or a reactive barrier. Reorientation means that the pollution is redirected along a new pathway. An example of this could be a waterborne pollutant being redirected along a waterproof drainage system for collection and treatment. If the pollutant has reached its target the only possible mitigation measures are remediation (in-situ) or compensation (ex-situ). Compensation means economic or replacement measures. In practice compensation means, for example, that some form of payment is made to the landowner whose land has been polluted. 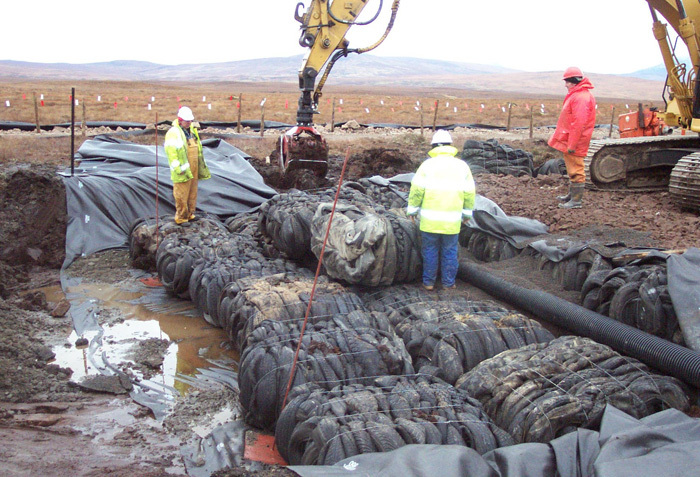 Remediation is normally only used when deleterious or adverse effects impact an environmental area. In practice this means that the contaminated materials,areas are replaced with new, clean material. 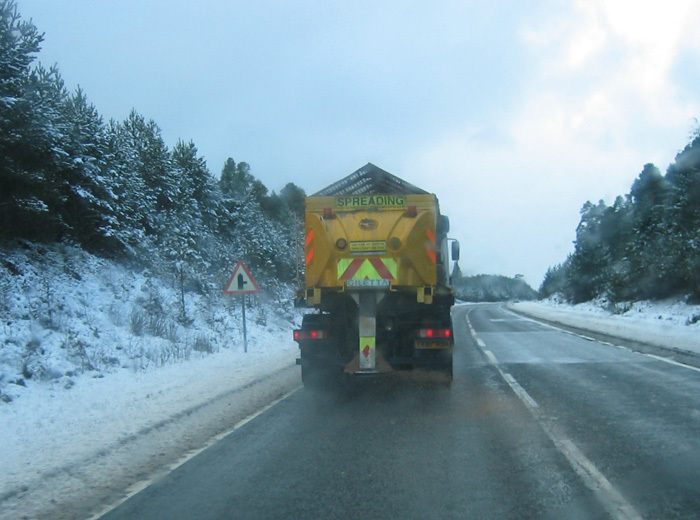 The road operations which cause the most significant environmental impacts in the ROADEX countries are (a) de-icing and snow clearing in winter, and (b) the use of dust binders on gravel roads in summer. These operations both aim to reduce slipperiness on the road to maintain its functionality. The following paragraphs consider ways by which road administrations can mitigate any impacts through actions, principles and policies. Note: Special protection measures may require to be taken on roads passing through important groundwater areas to protect the quality of the water. These may even be necessary on low volume roads if the pumping station is situated close to the road. Ice and snow removal can be carried out either mechanically or chemically. The most popular de-icing chemical is sodium chloride (NaCl). A minute quantity of potassium ferrocyanide is usually added to NaCl as an anti-caking agent to stop the salt grains binding together. Other de-icing chemicals that can be used are urea, calcium chloride and calcium acetate. 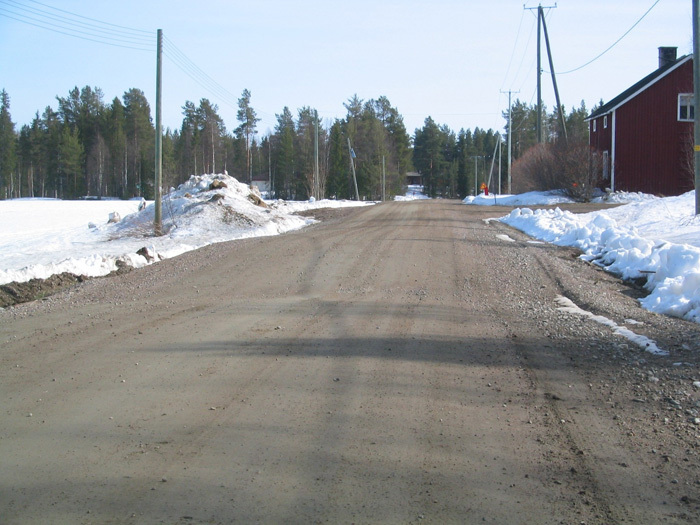 In low volume roads in Nordic countries the most common way for snow removal is mechanical methods and salt is not used on these roads. The main disadvantages of de-icing chemicals are that they can contaminate soils, groundwater and surface water. De-icing salts can also increase the mobility of heavy metals which accumulate at the sides of roads. Salts make the road surface wet, which enables pollutants on the road surface to leak through any cracks down into the road structure and along road shoulders. Sodium chloride increases the solubility of many heavy metals. 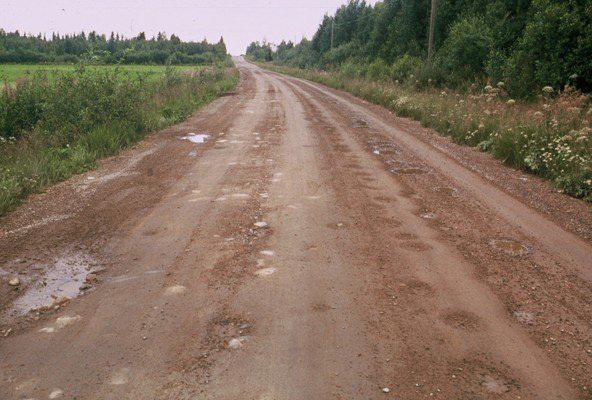 Dusting and dust binding are common feature on low-volume gravel roads where the wearing course material does not have enough fines to create suction. Dust binding is usually done chemically with salts like calcium chloride (CaCl2) and magnesium chloride (MgCl2). These salts have the same disadvantages as de-icing salts. The amount of dust bind binding chemical can be reduced by using enough good quality fines in the wearing course. 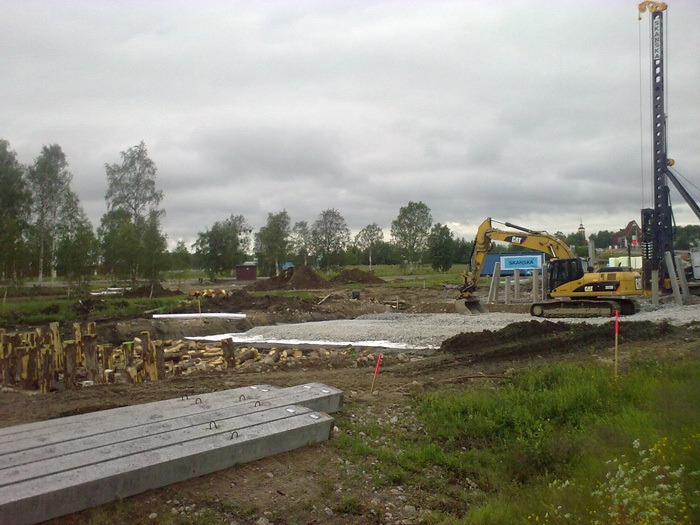 For instance in Finland crushed glacial moraine has been found to be a suitable wearing course with good dust properties. The Northern Periphery is recognised worldwide to be a “clean” region. The risk of finding previously polluted soil is not particularly great, although it is conceivable. A number of warning signals are however possible. Oily water in a ditch for example is a clear warning sign. The reason for the oil may be spillage from road operations, but it may also be due to existing old pollutants. The nose, or rather the sense of smell, is an excellent instrument for detecting pollutants. Care should be taken if the smell of oil, sulphur, etc. is detected. Pollutants can also be tangible, such as rubbish found in the ground. Soils may also be discoloured. Human actions are controlled by strict environmental legislation. Damaging or destroying nature within environmental areas are criminal offences. 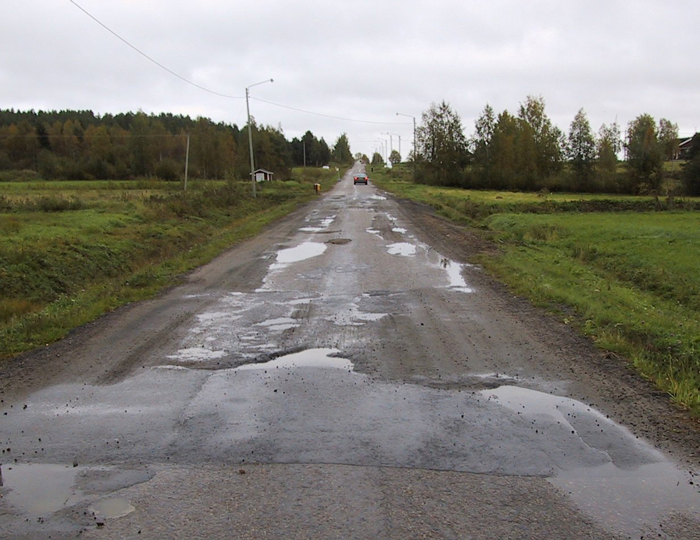 Human activities such as constructing roads can create scars in the environment and for this reason actions that are likely to damage the environment need permission from the environmental authority. 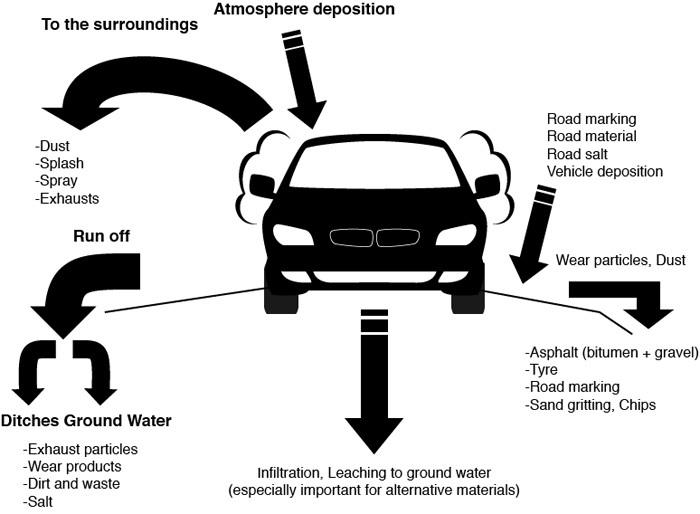 Materials used in roads operations must be closely controlled in order to prevent new pollutants. Likely sources of pollutants include solvents and oil products. Leakage from vehicles and other equipment is the simplest source of pollution but also the most insidious. This type of pollution can generally be avoided by regular servicing of vehicles and equipment, but some will remain. Site rubbish is normally easier to deal with. Rubbish is simple to collect and a sorting station can easily be arranged on site. If there are concerns about possible contaminations in the road area a survey plan is the first and very important step. A survey plan can define what kind of field tests, samples and analyses might be required. Based on this, systematic sampling and testing program can be designed and carried out. A range of different methods and equipment is available for taking samples from road materials, soils and groundwater. Samples can be taken from the runoff water from the site for example to document contaminant concentration and fluxes during and after storms, or after heavy rain or melting snow. Discharges can also be monitored from runoff water after accidents. Samples can also be taken from natural water bodies such as lakes and rivers. Sampling of groundwater is normally accessed through existing facilities such as wells or springs. Some measurements can be done in-situ; for example pH, redox potential and electrical conductivity. Other tests have to be done in the laboratory. The most common laboratory tests are the leaching test, quantative chemical analysis and eco-toxicity tests. Specialist competence will have to be commissioned if polluted soil is found. These specialists know how materials should be treated, disposed of, etc. There are also good reasons for avoiding new pollution. Pollution can give rise to high cleanup costs and is generally the result of poor resource management. If leakage cannot be avoided, care must be taken to collect it. Above all, it is vital to prevent it from spreading further, and importantly to groundwater supplies. Any collected pollutants should be handed over to a satisfactory collecting station. Liquid pollutants should also be handed over for disposal. Note that polluted water must be treated as waste, and should not be discharged into the ordinary sewage system. If a road and its surrounding become polluted despite the measures above, it is important to know the mechanism of how the pollutant spread from its source in order to design appropriate measures to handle it. Dispersion mechanisms are slightly different if the contaminated soil is saturated (under the groundwater table) or unsaturated, (above the groundwater table). In saturated soils the dispersion mechanisms are mainly diffusion, advection and dispersion. In unsaturated soils the mechanism depends on water content. If the soil is saturated (i.e. the pores are full of water), particles can move in three different ways: diffusion, advection and dispersion. Diffusion works on the concentration of the pollutant. Particles move from high concentration areas to areas with lower concentration. Diffusion can take place even although the fluid itself is not moving. A good example of diffusion is the spread of dust binder salt by means of osmosis on gravel roads. Advection works on the movement of water, and particles move with the flow of water. Dispersion happens when water moves within the pores and particles can locally redistribute due to local variations in the fluid flow. If the soil is unsaturated (i.e. the pores are not full of water), particles can move in a number of ways. Sorption happens when particles dissolve from road materials under the action of water. Adsorption is the attachment or adhesion of a molecule or an ion in the gaseous or liquid phase to the surface of another substance ion in the solid phase or to the surface of a soil particle. Desorption is the process by which molecules or ions move in the opposite direction. Adsorption/desorption has a huge effect on the behaviour of inorganic and organic material in soils between the liquid form and solid state. Dissolution is the process when a soluble substance dissolves in a liquid. Precipitation is the reverse process to dissolution, and results in the formation of a solid. Exchange reactions happen between two reactants usually in liquid form. These reactions can be electron exchanges, proton exchanges or complexes of ions or molecules. References other than ROADEX information and publications used in this chapter: Andrew Dawson: Water in road structures.